I recently found a name unit that has become one of my favorite. It's Karen Jones' Pre-K/Kindergarten Name Activities for the beginning of the school year. I like the unit because it has a lot of simple fun activities that can be used for practicing name writing. Several of them can be used over and over easily. I love the pocket chart activity. There are letters and words for sorting names by the letter they start with, letters in the name, and by consonants and vowels. The unit comes in color, but I am a little worn out from paying to print so much in color so I have been copying in black and white lately. The dry erase names and magnetic names are also favorites. 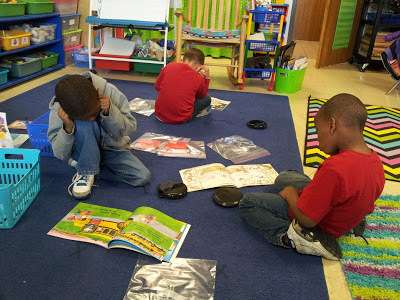 All of the activities are great for whole group, small group, and word work or literacy stations. They are also easy to prepare. You can learn more about all of the other activities in the unit here. I found this name mosaic idea from Melissa at Joyful Learning in KC. Melissa purchased small color squares from Lakeshore, but I cut mine from bright colored copy paper. I cut 1/2 inch by 1/2 inch squares. I placed a plateful of squares in the center of each table. Then I showed my students how to put glue on the letters and lay the colored squares on top of the glue. After everyone's name dried we shared them and named all of the letters in each person's name. This week we focused on the people in our school and how they help us. We made this t-chart to show the different people and their jobs. I typed the words in advance, but had the students brainstorm the people who needed to be on the chart and what they did for us first. The students helped me add the words to the chart as they shared their ideas. Since it was the first week of school I wanted a very simple owl craft so I used this one from Amy Lemons. I pre-cut the pieces out of construction paper so that all we had to do was practice gluing (you know how crazy new kindergartners get with white glue). You can download Amy's owl craftivity for free here from her TPT store. 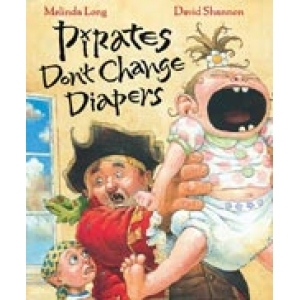 This is the book we used with this lesson. It names all of the people in the school. I know I have posted pictures of my class for years, but I thought I would post them again this year for those who missed them before. I made a few changes this year from last year. I am waiting on my new carpet so it's missing in these pictures. I have set up my room based on a few things I learned from Debbie Diller's Spaces and Places book and training. First, I chose a color scheme- lime green and blue. I chose a lime green polka dot border for all of my bulletin boards. I limited the things I put up on the walls to one alphabet, one set of numbers, one set of shapes, and one set of colors. I also placed my word wall at the front of my room by my whole group meeting area. I am waiting on my new carpet so the space is just floor and wide open right now. I have all of my supplies, games, and manipulatives are labeled and separated around the room so that they are easier to find. For example, all of my math materials are at the front of the room near my calendar wall, my arts and crafts supplies are by my sinks, and my phonics and phonemic awareness materials are by my guided reading table. This picture shows my math tubs chart and math tubs, my daily five chart, and my daily objectives chart. My students have cubbies where they keep all of their extra supplies. These are my math tubs. My math tubs are based on Debbie Diller's Math Work Stations book and training. The tubs are numbered because sometimes I may need 3 number sense tubs, a geometry tub, and 2 addition tubs, while other times I may need 1 addition, 1 subtraction and the rest number sense. By numbering the tubs I can change them out as I need to. The blue pocket chart in the picture above will be used for my math tub rotations. 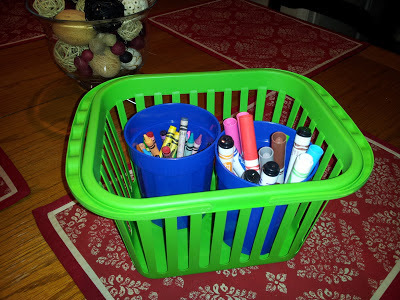 I will post more about my math tubs once I get them started during the first week. My students' book boxes are located on top of the cubbies. They are white and a little hard to see in this picture. After school starts, I will add their pictures to the boxes so they are easier to find. My traffic light is part of my classroom discipline plan. I have several baskets located by my classroom door. These baskets hold my students' daily folders, nurses passes, rewards and incentives such as stickers and coupons, and everything I need for marking folders at the end of the day. The blue baskets on the brown shelf are my word work baskets. There is a table behind the brown shelf. It is an extra space where students can read and write during the daily five. The colored pirates over my table signify the color name of the table. All of the materials behind the kidney shaped table are reading materials I use for guided reading and whole group reading lessons. I labeled my tables with the desk tags from Fran Kramer's Tag...You're It! unit. I also used the unit to make name tags and labels for journals. My students use the loft and the pirate ship tub for reading and writing during the daily five. The plastic containers with white lids hold my units. They are all labeled so they are easy to find. 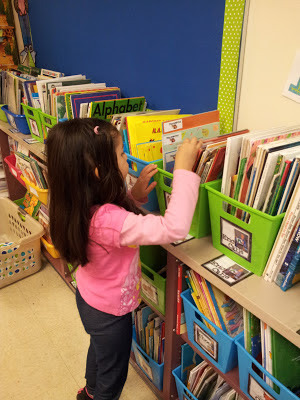 The colored buckets hold readers and picture books in them. They are also all sorted and labeled. My pom-pom cups are also part of my classroom discipline plan. The traffic light is used when students need time out, notes, or a call home for consistently breaking the rules. Folders are based on the traffic light system. The pom-poms are a positive reward system. Students earn pom-poms for making good choices and helping others out. This is strictly a positive reward system. Students only earn pom-poms. They never lose them. When a student fills their cup they earn a reward coupon. The rewards include incentives such as working in their socks, bringing a stuffed animal, eating lunch with the teacher, etc. I use a clear shoe holder and clear cups so I can easily see who is close to filling their cup up and to make sure everyone is being honest. This year I added Deanna Jump's class positive reward gumball system. It is part of her All Set You Bet Classroom Management Unit. I found this cute pencil template from Miss Kindergarten. You can check it out for yourself here. 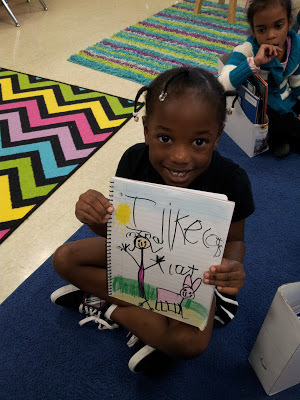 On the first day of school my students are going to draw a picture of themselves and write their name. I am going to display their first day work on these pencils. These pencils would work great to leave up throughout the year and display different pieces of their writing on. A friend of mine has started a website called the Teacher's Vault. It's another way for teachers to connect, learn, and earn together. One of my favorite features about the teacher's vault is how everything sold on it is standards aligned (TEKS and common core). The site even allows you to search for lessons and units by standard. The site's interface is extremely user friendly and posting the standards to your units is super quick and easy. The first 250 members who register will become founding members and become eligible for exclusive benefits and features. To check out The Teacher's Vault site go here and to "like" them on Facebook go here. I love the way the site works! I hope you will too! One part of the daily five that I wanted to rethink this year was how my students made their round/rotation choices. At first I thought I would use a recording sheet and ask each student what their choice was. After more thought I was afraid that would take more time than I had. I needed a system that was quick, provided student choice, and allowed me to limit the number of students in each choice. After further reading and talking with a few teachers, this is the system I decided on. Each morning when my students enter the room and put up their backpacks and folders, they will also make the daily five round choice. In the beginning, the only choice in the pocket chart will be read to self. I want my students to become familiar with the routine as soon as school starts so I am going to have them place their picture in the pocket chart even though all of the choices are the same. They will find their picture and place it to the left of the read to self icon. After we have built our read to self stamina to 7-8 minutes I will add work on writing. Then students will be able to choose which round they do first- read to self or work on writing. As we add more rounds, I will add more icons as choices. Eventually, there will be three choices on each row. Every row will have a read to self and work on writing choice as well as one other round choice. Students will place their picture to the left of the row they want. You can find the daily five icons I used from Lindsey at A Year of Many Firsts here. As I started to look at my district curriculum and all that I had to teach and to consider in teaching more focused mini-lessons, I realized I needed to make the most of each lesson. In my search for the best resources, I found Deedee Will's Poetry Station and Shared Reading Set. With one unit I was able to find lessons that covered three of the four CAFE categories (accuracy, fluency, and expand vocabulary). Deedee's unit has everything already planned out for me and all of the resources needed are provided as part of the unit. Each lesson allows me to cover most of the TEKS and strategies I need to cover in a focused and short amount of time. Once we have worked through the weekly lessons with each poem I am going to move the sort activities to word work and the poems to read to self. No matter whether you are doing daily five, CAFE, traditional literacy centers, or whole group lessons Deedee's poetry and shared reading unit is worth far more than it costs. I am so excited because it is high quality materials, engaging for my students, and so easy to follow and use. I am going to use it in whole group and small group instruction as well as in word work and read to self. I am even more excited that Deedee has agreed to allow me to give away a copy of the complete set of Poetry Stations and Shared Reading. Yah!! Thanks Deedee!! Leave a comment(s) saying you follow our blogs. The giveaway ends at midnight Saturday, August 31st at midnight. The winner will be announced Sunday September 1st. As I started thinking about lesson planning, I realized that in order to teach all of my ELA lessons in a mini-lesson format, I needed to be very focused in my planning and my teaching. I decided to start by searching for resources that would make planning my focused lessons easier and faster. Please leave a comment if you can suggest any other great resources for any of the CAFE menu categories. I made some changes in the CAFE signs I used last year. I used a smaller font because I ran out of room on the board and I changed some of the picture icons. You can download the new signs here. The CAFE headings came from Ginger Snaps and you can download them for free here. I pre-made my CAFE signs and icons to save time during my mini-lessons. When I introduce a new strategy, I will read the sign with my students then discuss the icon with them. Then I will have them explain it back to me as well as a partner. We will place the signs and the icons on the CAFE board together and I will refer to the strategies every time I use them. 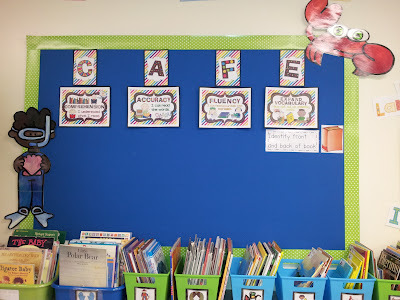 The key to getting your students to use the CAFE board and the strategies on it is to involve them in placing the strategies on the board and to model using the strategies on it daily. If you just add the signs to the board or put them all up at once they will not hold any meaning for your students and they will not use them. I think I need to stay away from Amazon. I am in a book buying frenzy! I bought this one this morning. About the book: Melvin throws fit every time he doesn't get what he wants. Not only does Melvin learn how to deal with disappointment, he teaches his family the lesson too. And after all, you get what you get and you don't throw a fit. 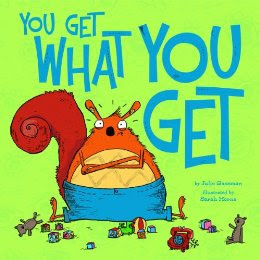 I know a lot of us use this phrase throughout the day with out little ones and now we have the perfect book for talking about it! I purchased this book from Amazon but it is temporarily out of stock. I checked Barnes and Nobel and their site says the book is usually available within 1-2 weeks. Ordering through a bookstore may be faster. I am not sure. I have missed posting and keeping up with everyone's blogs this summer, but I can finally say that my dissertation proposal is finished and I am just waiting for approval from my chair and committee so that I can formally propose! Woohoo! I hope to get back to blogging on a regular basis now. I just did a little shopping on Amazon and I wanted to share the books I bought with you. About the book: Chopsticks have been best friends forever. But one day, they come to a fork in the road. And for the very first time, they have to figure out how to function apart. This book celebrates both independence and the unbreakable bonds of friendship. I plan to use this book with the daily five. 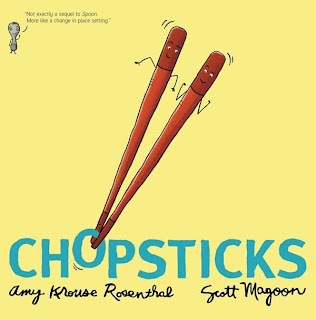 I am going to relate how the Chopsticks gained independence with how I want my students to be independent during daily five time. About the book: A new reader trudges through deep snow with a mysterious suitcase in tow. He has something important to share with his faithful companion, who bolts ahead to wait at the top of a tall hill. The young reader climbs higher and higher, until finally, he is there, too. Then he opens his suitcase and soon the only sound in the world is the sound of the reader reading their very favorite book to the very last page…the very last word. I plan to use this book during the daily five and teaching read to self. 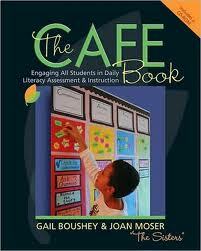 It is perfect for setting the purpose for reading and creating a sense of urgency. The best way to become a better reader is to practice everyday. There are several great books for creating a sense of urgency and that show reading is fun. A few of my favorites are Reading Makes You Feel Good by Todd Parr, Wild About Books by Judy Sierra, Five Little Monkeys Reading in Bed by Eileen Christelow, The Jellybeans and the Big Book Bonanza by Laura Numeroff, and The Best Place to Read by Debbie Bertram. About the book: Nothing ever happens to Ralph. So every day when it’s time to write stories, Ralph thinks really hard. He stares at his paper. He stares at the ceiling. But he has no stories! With the help of his classmates, Ralph realizes that a great story can be about something very little . . . and that maybe he really does have some stories to tell. I plan to use this book when we learn about what we can write about. 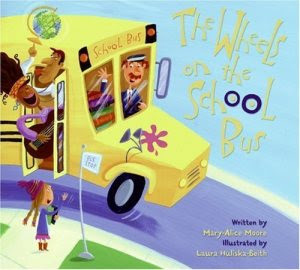 This book makes a great springboard for early writer's workshop lessons. 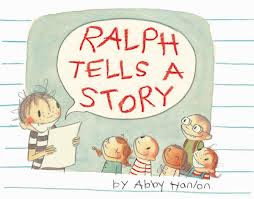 I plan to have my students brainstorm a list of tips from (the book) Ralph for writing a story, then brainstorm a list of their own tips/ideas for writing. About the book: A little boy explains to Mama Slug how to teach Little Slug to read. 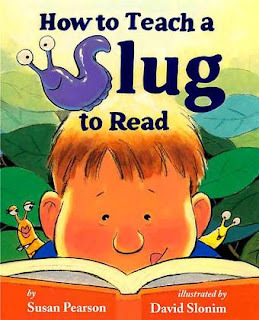 Here are a few of his reading rules: Attach labels to Little Slug’s favorite things; Read out loud to him; Point out words that repeat; Sound out words; Make a vocabulary list; Be patient! And, of course, it helps if Little Slug can see the book, so prop it up and set him on a rock! 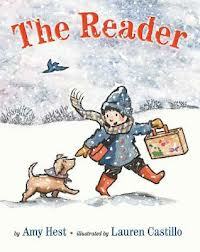 This book is perfect for teaching strategies that help us become better readers. To see what my students already know about reading I am going to brainstorm a list with them of what they think one should do to learn to read. Then we will add strategies and ideas to the list as we learn more about reading. I am going to use a schema chart format for this so that I can validate all of their answers and clear up any misconceptions as we learn more about reading.